In the last 24 hours, I drove with two VOA colleagues from southern Tunisia through the desert and mountains to Tripoli, Libya, on the Mediterranean. Troops loyal to Col. Moammar Gadhafi still control the coastal road. 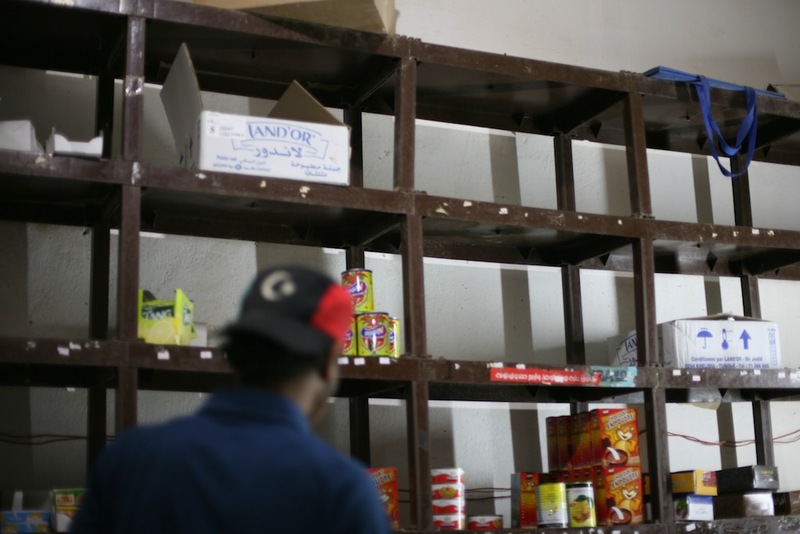 Leaving Tunisia’s Djerba Island, we stopped at Tatouine to stock up on necessities before crossing into Libya. We loaded up our minivan with bottled water, dried food and nuts. Working a dusty ATM, I managed to pump 2,000 Tunisian dinars out of the last bank machine between me and the border. 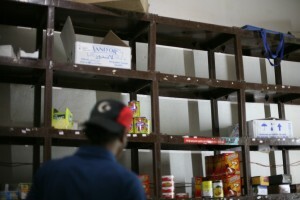 We had been told that Libya, the middle class oil economy of North Africa, is now running on a cash only basis. The endless expanse of beige desert around Tatouine was so dry and moonlike that it was used in the filming of the first Star Wars movie. Our ribbon of asphalt took us close to the 1942 headquarters of Rommel, the Nazi’s ‘Desert Fox.” Preserved in the dry, windless climate, the slit trenches stand untouched. For me, this military landscape has a personal connection. In the winter of ’42-43, my father, John L. B. Brooke, drove his American Field Service ambulance, essentially from Cairo to Tunis. Attached to the British Eighth Army, he suffered a setback early in the drive. In the dark, in El Alamein, he took a wrong turn. His ambulance was stopped by a hail of German machinegun bullets. He and his fellow driver spent the night in a trench and eventually made it back OK to British lines – on foot. On Tuesday, as we approached Libya, I hoped that, seven decades later, my reverse trip across the North African desert, would be less eventful. Aside from one blown tire, our drive to the border went well. With only one land crossing open to Libya, Tunisia evidently braced for a spillover of Libya’s civil war. Coils upon coils of fresh concertina wire glinted in the desert sun. Close scrutiny of the hills revealed freshly dug army posts, establishing commanding positions over the road. Children happily waved their new flags. 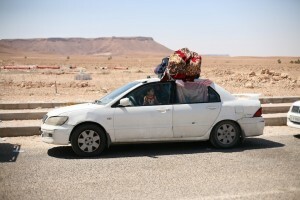 In a vote of confidence that the rebels are winning control of the country, Libyan men were bringing their families home. Mohammed, whose only European language was broken German, proudly showed off his five sons, all packed into his sedan with his wife. Tunisia border police stamped our passports out of Dehiba. 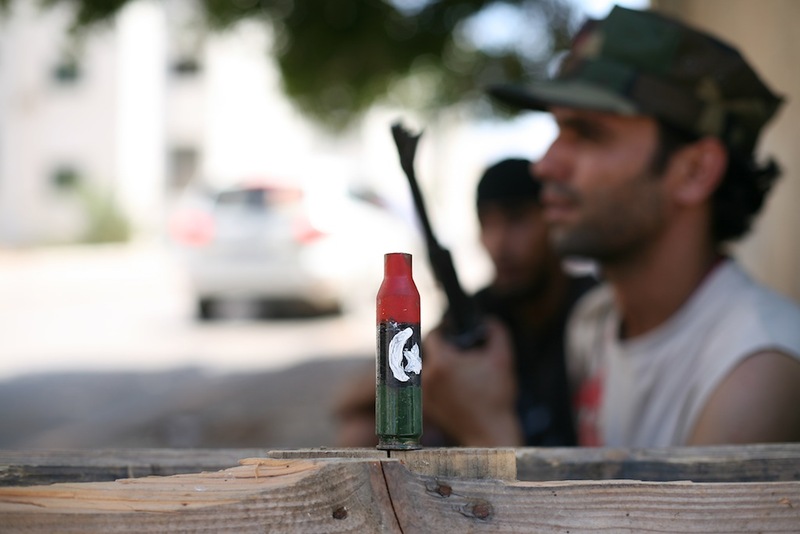 Fifty meters away, rebels cradling automatic weapons welcome us to what they call ‘Free Libya.” They peered inside our car and waved us on – me, Elizabeth Arrott, VOA’s Cairo Bureau Chief, video journalist Japhet Weeks and Jamie Kirchick of Radio Free Europe. One caricature showed the Colonel with buck teeth. In another, he was cross-eyed. In another, the self-styled “King of Kings’ was shown with snot drooling out of his left nostril. It suddenly dawned on me that many normal Libyans shared the assessment of many outsiders: their “Brother Leader” of 42 years in power was an eccentric nut job. At one checkpoint, manned by rebels dressed in t-shirts, shorts and sandals, the flags of France and Qatar flapped in the desert breeze. One hour down the road, we passed a base guarded by three men in desert beige uniforms. Outside flapped the distinctive flag of Qatar, with its fields of white and maroon joined in a saw tooth seam. Special force troops from Qatar, Britain and France have helped to train the rag-tag rebels. 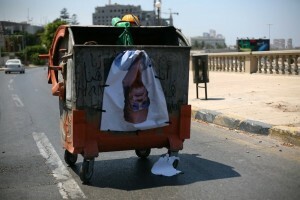 We pushed on toward the coastal town of Zawiya, which had repelled a major Qaddafi attack as recently as Sunday. It was dusk now, and I was breaking a self-made rule that had gotten me through 13 wars: never travel after dark. The road wound down from the mountains in sharp hairpin turns. Road blocks got more serious. In an effort to bottle the rebels up in the mountains, Col. Gaddafi’s forces had towed from the seacoast, three-meter high cement blocks. Shaped like giant versions of a child’s jacks, they towered over our sedan as we slowly wound between these white cement boulders. At each checkpoint, we turned on the dome lights in the car, smiled, and wished ‘Salaam Aleikum’ to every young man with an automatic weapon. Rebel control now extends to the Mediterranean coast. We turned left at a massive, illuminated oil refinery, and soon were standing in front of the only working hotel in Zawiya. Men with guns and journalists with worried looks milled in front of the barred gates of the hotel. NATO planes buzzed overhead in unceasing air patrols. I overheard an Italian journalist say ‘rapiti’ – kidnapped. Several hours earlier, a car load of Italian reporters in Tripoli had stopped at what proved to be a “false checkpoint” on a road outside Zawiya. The men manning the checkpoint shot the driver dead and took four Italians hostage. The Italian reporter told me that ‘banditi’ had ‘sold’ the four journalists to Gaddafi forces. Game changer. I talked with my colleagues and a bullet-headed British security consultant working for Canadian TV. We decided to push on to Tripoli in the morning, but in convoy. The hotel was full. We spent an uneasy night on dirty mattresses on floors in a nearby “liberated” private house that the rebels offered us. Thursday morning, our convoy of three cars pulled out – two VOA/RFE cars and a vanload of Italian reporters. Journalists who had helmets and flak jackets, put them on. The 50 kilometer drive from Zawiya, essentially a western Tripoli suburb, to Tripoli’s beach front took two hours. The boulevards were spookily clear, only a rare car. Sidewalks were even more deserted – I spotted one pedestrian in one hour. 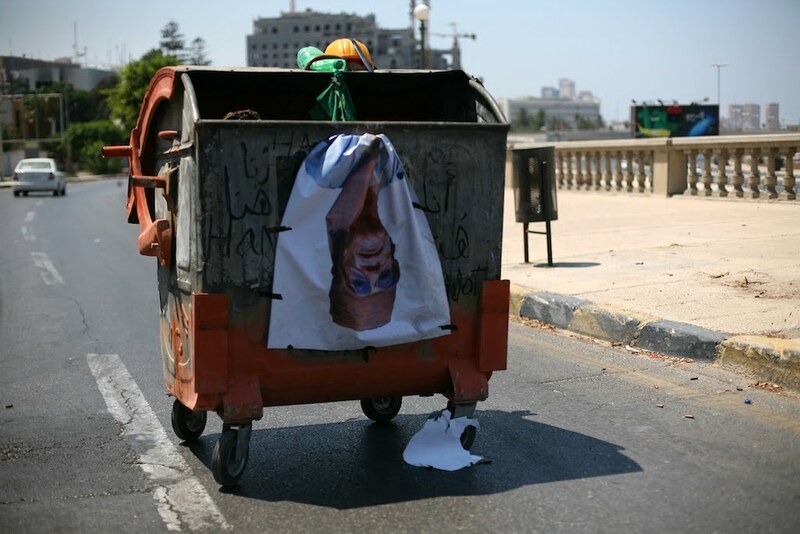 Over three hours, I spotted one Libyan woman. We rolled down commercial avenues where every single store was closed. This made for kilometer after kilometer of locked metal shutters. This was more than Ramadan. A highway junction provided a tableau of NATO’s precision bombing. Making a slow left turn, we saw how a direct hit had destroyed a Qaddafi military control post. The roof was smashed in, leaving air conditioners dangling crazily from cement walls. Remnants of sand bag emplacements still looked out from what was left of the second floor. Not a house on either side had been damaged. We passed another NATO target, the base used by the 32nd Brigade, an urban assault unit commanded by Khamis al-Gadhafi, one of the colonel’s sons. Burned out tanks and pickup trucks littered the front gate. But the walls were covered with the telltale Arabic graffiti of the victors – the rebels. Our driver offered to take us in for a look. We voted to press on for Tripoli. As the western approach road got closer to Tripoli, the checkpoints became more frequent and more serious. By the time, we were in the capital, they appeared on each block, manned by wary men from the mountains who proved incapable of giving us directions to the beach. The first hotel we tried, the Corinthian, was full. Journalists in bullet resistant jackets milled around the muggy lobby. Outside, rebel guards were taut, on edge. They had the humorless air of men fresh from a fire fight — and fully prepared for the next one. (We later learned that about 15 minutes after we drove off, a firefight erupted around the Corinthian). I was in the lead car of our three-car press convoy. Our Zawiya driver said he knew the way to the Radisson. Soon, after picking his way through deserted streets, it was clear he was totally lost. The mountain men at the check points sent us in different directions. After a series of false starts, we found ourselves in a recognizable landscape. The high avocado green and mustard yellow trim walls of Col. Gadhafi’s six square kilometer base. The base’s outer walls bore the signs a heavy assault — blast marks, burn marks and, in some cases, holes blown through reinforced concrete. All vehicles outside the walls were charred wrecks. We came to a roundabout. With olive green field tents pitched on the grass, it was the camp for civilian supporters of Col. Gadhafi. But the tents were all empty. My car circled around slowly, rubber tires crunching on broken glass and over spent brass cartridge cases. We passed dozens of smashed up and burnt out cars. Then, three large orange earthmovers blocked our exit. They had been parked sideways, their giant tires shot out, presumably by Gadhafi soldiers hoping to blunt the onslaught of rebels – a modern day desert cavalry of pickup trucks with heavy cannons mounted on the back. Stopped by the earthmovers, I surveyed the landscape. The round human shapes on the grass looked familiar. One, two, three probably eight corpses swelling in the Mediterranean sun. They were dressed in civilian clothes. Tires crunching over more broken glass, our car found an exit. ‘Ok, ok’ the driver assured. I knew things were not OK. The landscape changed. 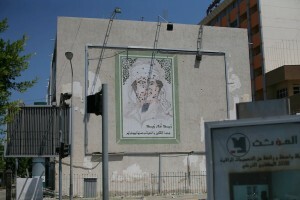 A large heroic poster of Col. Gadhafi stood untouched. In full dress uniform, he waved to us and to the imagined masses. Wrong. He had delivered three carloads of journalists to the Rixos Al Nasr, the luxury affiliate of the downtown Rixos. At the downtown Rixos, Gadhafi militia men held 36 foreign journalists captive for five days, until yesterday. Soon unidentified armed men were milling around our cars. Spying ammunition boxes piled on the hotel bellboy’s brass baggage cart, I asked if there were any free rooms, preferably two doubles with separate beds. “Credentials” demanded the lead man with the gun. I fished out my VOA building pass. His brow furrowed. After a long pause, he read ‘V’. Eventually, our translator emerged and explained we were really looking for the Radisson, not Rixos. Then, a rebel pickup truck convoy rounded a corner and sped toward us. I have never seen so many men packed in the back of a pickup truck. All carrying automatic weapons. All pumped for action. On spying Japhet’s TV camera, they raised their right arms to flash V for Victory signs. They shouted ‘Allahu Akhbar.” We smiled and waved. That broke the ice. Soon we were on our way, going the wrong way down one-way streets, easing through red lights, on our way to the Radisson. 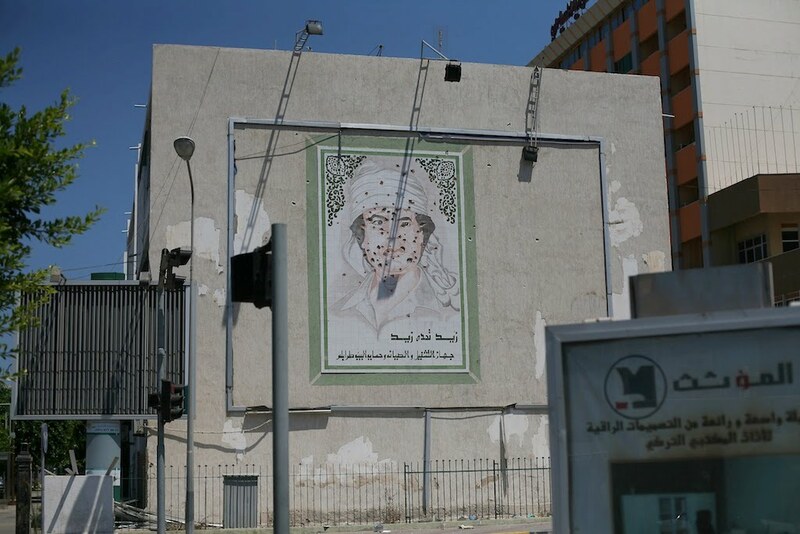 Fifteen minutes and fifteen checkpoints later, we were entering the Radisson, walking across the Col. Gadhafi portrait that had been freshly laid out as a welcome doormat. “We were in hiding,” the Turkish manager, said to explain why rooms were not ready. As he called around town to cajole chambermaids to come back to work, I walked over to a widescreen TV to listen to the news. The Italian journalists had been released without harm. Looking down, I realized I had one foot through the gold frame that until one hour earlier held the lobby portrait of Col. Gadhafi. Back to the reception desk, I told the manager that we had a little problem finding the Radisson Blu. He laughed. It is a branding issue, he said. Radisson took over the oceanfront hotel only a few months ago. Everyone in Tripoli still calls it as the Al Mahary – or baby camel. Indeed, high atop the hotel is the image of a baby camel. And now I have a map of Tripoli. Great account. Be careful. Don’t be an idiot. I’m dissatisfied and appalled with the article. 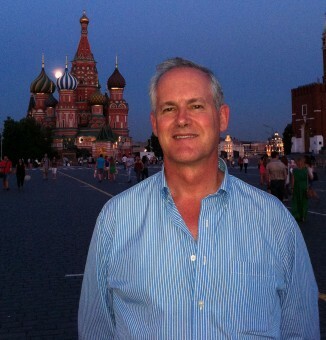 in the elusive ‘Welcome to Tripoli…” article in “Russia Watch”. and some “unfriendly” posts disappear into thin air. Then I’m not sure in the fate of my present one. – to reassure the world that this time NATO will be successful in importing western type of democracy and way of life in Muslim and other non-catholic countries..
Dear Jim, isn’t this blog supposed to be somehow related to Russia and post-SU countries? Or am I really missing something here? Explain this abrupt turn from Russia to Libya, please. James Brooke wrote “all those Soviet arms sales and Kremlin second thoughts about the NATO bombing campaign”. Perhaps I am the last person to advise to you but I would rather read something about that. I see and quite aware of Moscow rulers habit of welcoming all sorts of world’s bastards like NK’s liitle tsar, palestinian killers, Ghadhafi and so on. I am really ashamed of that as a Russian. You really should have rather written about SU and now Russian relations with the Lybian dictatorship imho. I am very proud of my brave cousin Elizabeth Arrott. You go, Bug!